Perhaps you have invested so much time and effort in writing a book. You’ve carried out extensive research and improved your craft while working on your daily word count. Like most authors, once the book is completed, they try to find buyers and readers. At times, they get thousands of people who read it. However, this is very rare and does not conform to the rule of publishing. Sadly, most times, the book flops. Studies have shown that the average self-published book sells around 250 copies in a lifetime. Have you considered if there is a way to change this course to your favor? While there are no guarantees to become a bestseller or a onetime hit, there are specific tools and things to do to improve your chances of succeeding. One effective method is by conducting proper market research before writing such a book. If you want to devote months of effort and time, it behooves you to invest some time to research. Welcome to the KDP Rocket review. In this review of KPD Rocket, I’ll tell you what the tool is all about, what it does, and how to use to launch your next best-selling eBook. Because it is called a super ninja tool doesn’t mean that it will help you sell millions of copies magically. However, using this kindle publishing software gives you the edge over 90% of authors, and it'll make life easy for you. 1.1 What does KDP Rocket Do? 2 KDP Rocket Pricing | How Much Does it Cost? 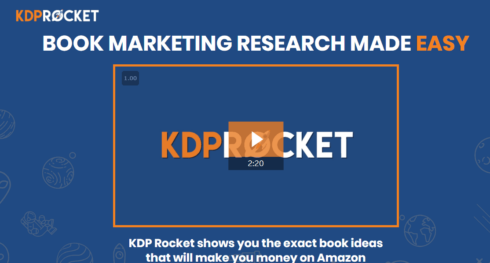 If you're an Amazon Kindle Publisher struggling to discover the right keywords that will boost your book’s visibility in Amazon searches, then KDP Rocket is for you. It's undoubtedly one of the best research tools for Amazon Kindle Authors. Get KDP Rocket Righ Here. KDP Rocket is not just another type of keyword research tool. Some refer to it as a complete author market research tool. Nevertheless, in a concise manner, you can say KDP Rocket helps you know if a particular book market is feasible or not – and it can be used for researching both fiction and non-fiction books. Therefore, rather than depending on guesswork or intuition, you are equipped with relevant data to know whether to enter a particular book niche or not. Undeniably, writing what you love and passionate about is essential. Nevertheless, discovering the missing link between what you love to write and what people are willing to pay for lies a goldmine. Furthermore, getting an accurate understanding of the market, what keywords customers use, and learning the pros and cons of your competitors will surely give you a unique advantage. Apart from this validation, you are merely writing blindly. Let us assume you have the following information before writing a book. The kind of books and ideas people are looking for. With this information, you will be ahead of your competitors and command a large portion of the market while increasing your earnings effortlessly. What does KDP Rocket Do? Literally, with KDP Rocket, you can know if this book is suitable for such a market. The software answers the question of “what does KDP Rocket do” in four different ways. To help you get a clearer picture, we will analyze them one after the other. Before you decide on writing a book in a particular category or genre, it is imperative for you to know the competitive nature of such a market. This information is helpful in two ways. Firstly, you get a better understanding of what you have to do for your book to be successful in the market. Secondly, you will know if writing in that genre is worth it or not. One misconception many authors have is to think that writing is all about making money. Actually, there are easier means of making money. Nevertheless, writing a book to a hungry genre is fulfilling when compared to writing to only a handful of people who are going to read. How does one determine if a book market is competitive? 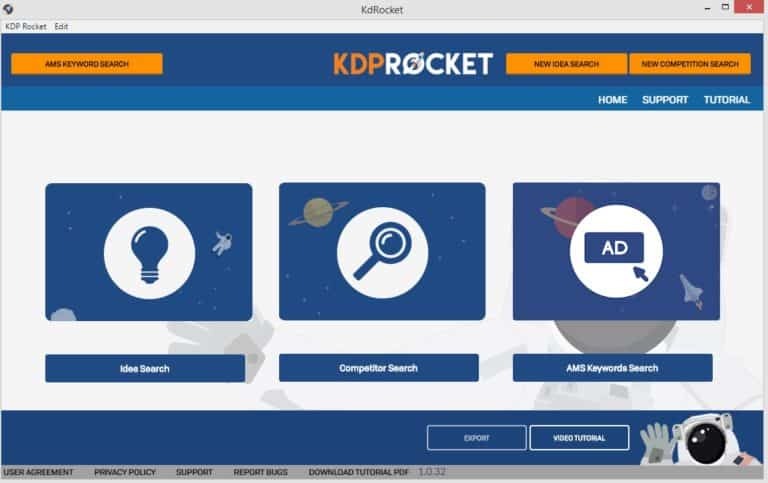 Once you have a solid idea of what to write, plug it into the “Competition Analyzer” feature of the KDP Rocket software. All you need is to type the description of the book and allow the tool to perform the magic. The “Category search” feature is a recent addition to the KDP Rocket tools. If you want to be among the top bestseller, you need to find the right category. If you're going to earn that bestseller rank, you shouldn’t choose categories that are hard to rank for. Previously, finding the right category for a particular book involves spending hours going through Amazon search results, manually calculating book sales numbers, and jotting down categories. This is not only stressful but also time-consuming. However, the process is straightforward if you use the KDP Rocket software. Just go straight to the “Category Search” feature and key in the descriptive keyword for your book. Indeed this is a seamless process that is as simple as ABC. KDP Rocket will automatically produce a list of categories relating to your book description with which you can rank in with other authors. Furthermore, you will get an analysis of the first twenty books in each category including the number of books to sell to beat other books. If you can rank among the first 20, it gives you the opportunity to be listed on the first page of the category results when people search. With this information, you can know the kind of marketing push needed when you finally launch your book. Through this, you can hit the top of the category search. Perhaps you have started writing or have challenges choosing from different ideas, and then this tool is the medicine you need to heal yourself. Excellent book idea usually intertwined in the following. If you are equipped with the aforementioned points, the likelihood of your book becoming a success is high. In as much as KDP Rocket doesn’t have the ability to tell if one is passionate about a particular topic or not, the software has the capacity to make your bestselling book ideas quite simple. It is as simple as keying in your idea in the “Keyword Search” box and allowing the software to do what it knows how to do best. The outcome of the keyword search will give you a breakdown of keyword and related keywords that readers are searching on Amazon. Additionally, you will have access to extra information such as the search volume for each keyword, number of books competing for such keyword, and the average profit generated for the keyword to rank. Equipping yourself with this information gives you the ability to compare different book ideas pending when you find the one you like and that will enable you to make money. The writing industry is filled with lousy book titles that make one think if the “author is normal.” However, this isn’t surprising if you began reading from above. A memorable book title doesn’t only need to be interesting but also connect to your readers, and tell them what your book entails. Furthermore, you need to add the relevant keywords to enable you to show up in the search results. Most forward-thinking authors understand the critical role that keywords play when people wants to buy a book. However, selecting the right keywords and incorporating it into the title, subtitle, and book description is still a mystery for many. 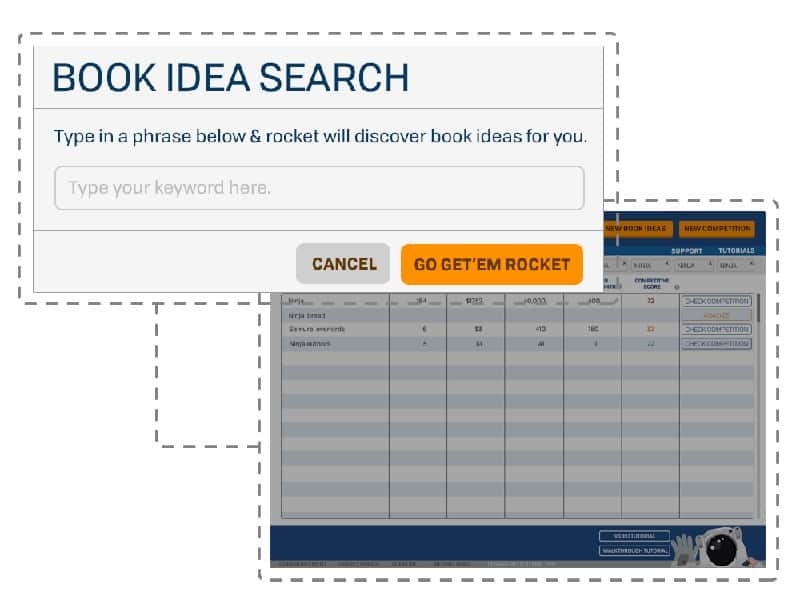 If you don’t use KDP Rocket to choose your keywords, you are merely doing guesswork. You will key in the keyword you choose into the Amazon search bar while basing your judgment on the strength of the keyword by the number of search results that appears. However, when using KDP Rocket, it unveils the search volume of your target keywords. With this, you know exactly what is popular. 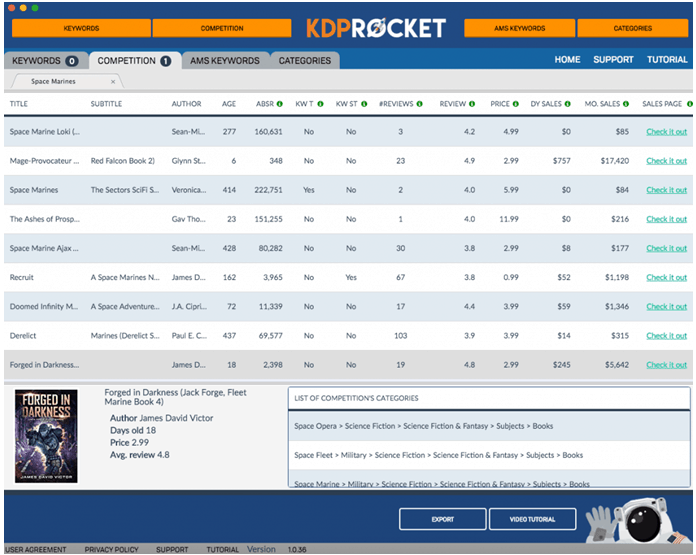 When you add the competitiveness of each keyword, you can see that using KDP Rocket is an added advantage. If you can know the keywords your target readers are typing on Amazon, you will know the particular words they are using. This will make it easier for you to include popular keywords in your title, subtitle, and the description aspect of the book. With KDP Rocket, you can find more than 150 moneymaking keywords for your AMS book advertising campaign within the snap of a finger. Immediately you have the keyword list, click export, and upload it to AMS. That is all you need because KDP Rocket takes all the suggested Amazon keywords, author names, and all titles for the books that show up during the search. Furthermore, it also provides relevant categories including new and hot books within such categories. Besides KDP Rocket, there are other players in the Kindle book research space. These include Kindle Samurai and KDSpy. Perhaps you are considering which of these tools to choose, or thinking if it is worth investing in any. It doesn’t matter your reason for choosing one over the other; it is essential to know how each fare with one another. This software tool brags itself as a category research tool. The objective of the software is to enable authors to gain a deep understanding of the category they decide to write in. Furthermore, it provides relevant statistics such as the number of reviews, rankings, sales, and the size of the market. Additionally, it gives authors a global view of the competitiveness of the niche. This software acts as keyword research. Though many don’t recommend it, it is used in researching your competition. The end product of the results isn’t attractive because it looks like an Excel Spreadsheet. Undoubtedly, the cheapness of the tool seems to be the only advantage. Furthermore, you need to run a Bootcamp to use this software if you are a user of Mac computer. The tool is only applicable to windows based system. KDP Rocket Pricing | How Much Does it Cost? Currently, KDP Rocket comes at $97. There are no hidden charges, subscription, or even an upsell. This is great because most people don’t like subscriptions and don’t want to pay additional fees to learn how to use the software. At times, some questions are lurking in your mind concerning this beautiful tool. However, we will explore the most common questions. However, if the question in your mind is not covered in this area, don’t hesitate to write such a question in the comment box below. 1. Does KDP Rocket work on Mac and PC? Yes. It is certified to work on both Mac and Windows computers. 2. Does it work for international markets? Currently, it reads and interprets only the US market. Nevertheless, the tool is being worked on for it to apply to the international markets. When this becomes a reality, it will be a free update for those using it. 3. Is KDP Rocket useful for fiction authors? Yes, fiction author can use it as well as other authors. Are you a fiction author? 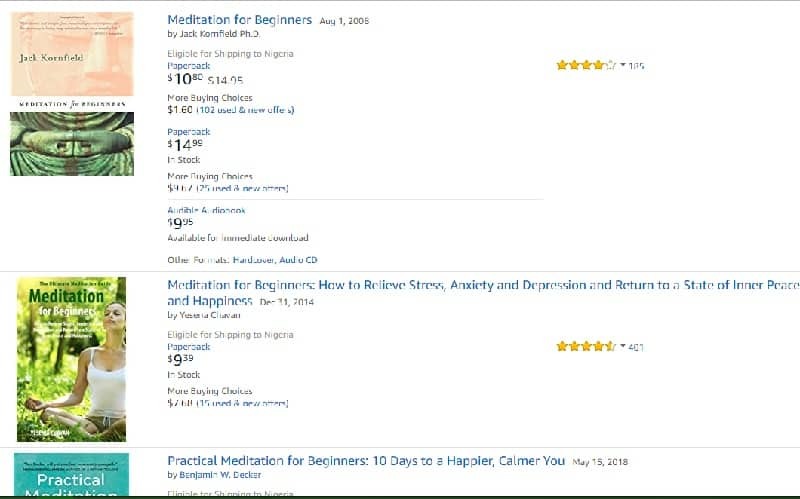 Do you want to know what readers are typing in Amazon’s search bar? Are you inquisitive about what your competitors are doing? Do you want to know the current trends and get specific words suggestion that connects with readership? Do you want to know if their book is making money? If your answer to any of the aforementioned question is yes, then KDP Rocket is perfectly suitable for you. 4. How does KDP Rocket calculate the competition score? The competition metric is extremely valuable and uses different factors. For instance, the 1-99 scale informs you of the difficulty of ranking for the keyword you choose. The score is based on known ranking factors like titles, subtitles, description, and a number of reviews, bestseller ranks and many more. Since you download and install the KDP Rocket software on your computer, it is natural for you to expect routine updates. Therefore, all updates on the software come free without additional cost. 6. Who can use KDP Rocket? KDP Rocket is a wonderful tool for authors who want to treat their writing as a business. Most authors are simply concerned with writing what gives them joy forgetting whom they are writing to. They don’t consider the reader expectations, market trends, or producing novels that sell while fulfilling their creativity. Nevertheless, if you are an author that strongly believes in one of the following, then KDP Rocket is a lifetime investment that comes without regret. You want to get into Amazon AMS and want to discover easier ways of finding keywords. Additionally, if it is not clear to you, KDP Rocket is easier to use and very intuitive. Therefore, there is no need to be a super technical freak to use the KDP Rocket software. Starting out as an author, you’ve got a lot on your plate. You are not only confronted with the challenge of writing a compelling book but writing one in a competitive market, choosing the right keywords, categories, and optimizing your book listing. Furthermore, you are also faced with the challenge of launching it the right way, getting reviews, and marketing it properly. Once you do all of these, writing that book you desire is much easier than you can comprehend. Nevertheless, using KDP Rocket affords you the opportunity to simplify your research process, come up with great ideas, and finally know what to do to rank higher. If you’re an aspiring author or you’re already an author who wants to improve your success rate in building a strong and profitable book marketing career, then KDP Rocket is a worthwhile investment that shouldn’t be neglected. It’ll help you to write and sell more books. Finally, are you ready for the next level? 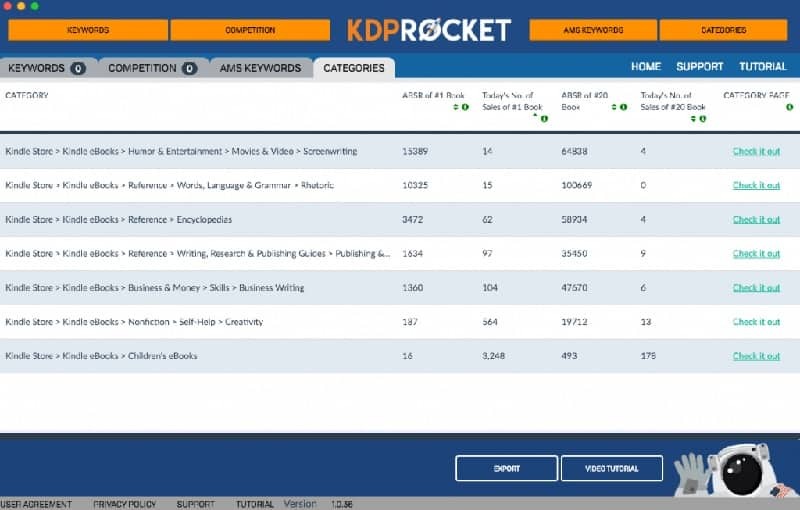 In the words of Jeff Goins, “before you can launch a bestseller, you need to write a bestseller.” Take advantage of the KDP Rocket software today and transform your book marketing career. Have you ever used this software before? Share your experience with us in the comment section. And if you enjoyed this post, don’t forget to share it on social media. I love KDP Rocket. It has helped me fine-tune my book marketing. My Kindle listings are now targeted with niche categories and improved keywords. Because I have a better understanding of these categories and my competition, I can write sharper book descriptions, as well. While KDP Rocket is designed to work with Kindle books, it’s also helpful with print books. It quickly takes you to Kindle books, and then you can click on the print books to learn more about categories, rankings, and other details of your competition. In addition, the creator of KDP Rocket, Dave Chesson, offers excellent podcasts and articles. And his FREE Amazon Advertisements for Books course is amazing. I learned so much, and Dave has a generous and winning style of delivery. Dave is a great guy for sure! Thanks for sharing your feedback.